Presentation of technologies and equipment for guests from Bulgaria during their visit of GlobeCore, Oldenburg - ! Equipment for Transformer Oil Reclamation. GlobeCore. In June this year GlobeCore held a presentation of equipment for Bulgarian specialists in Oldenburg. Special interest was paid to the plants for purification and regeneration of various types of oils, drying and vacuum drying of solid insulation of power transformers. Most attention was attracted to the regeneration process, and this is not surprising. The reuse of waste materials not only reduces the amount of harmful emissions into the atmosphere, but also saves money. Note that the CMM-R plant by GlobeCore completely restores the operating properties of insulating oil. There is no need to take the oil out of a transformer and no need to turn the transformer offline. 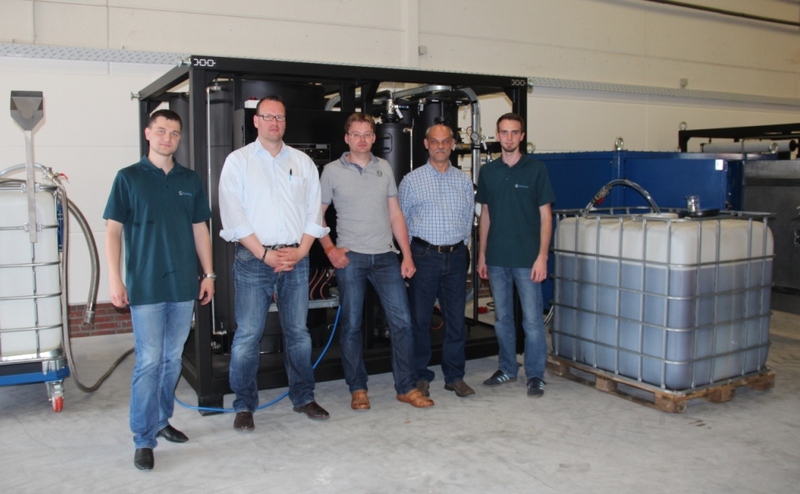 At the end of the presentation the Bulgarian guests expressed their interest in seeing the equipment in operation, which was possible at the GlobeCore International Training Center in Oldenburg, successfully training operators of oil filtering systems.